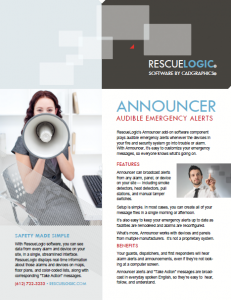 RescueLogic’s “Announcer” is an optional add-on component that plays audible emergency alerts when the devices in your RescueLogic system go into trouble or alarm. 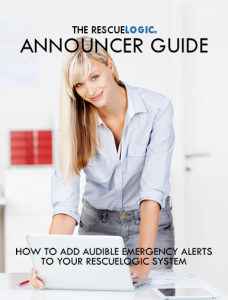 With Announcer, it’s easy to customize your own emergency messages, so everyone knows what’s going on. Announcer can broadcast alerts from any alarm, panel, or device on your site, including smoke detectors, heat detectors, pull stations, and manual tamper switches. Setup is simple. 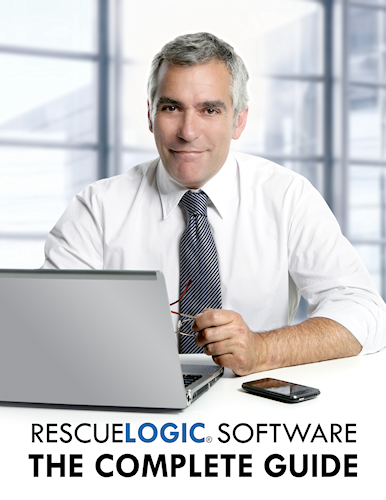 In most cases, you can create all of your message files in a single morning or afternoon. It’s also easy to keep your emergency alerts up to date as facilities are remodeled and alarms are reconfigured. What’s more, Announcer works with devices and panels from multiple manufacturers. It’s not a proprietary system. 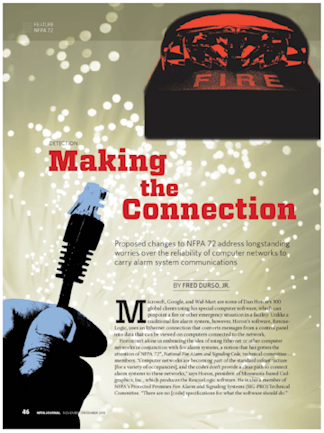 Your guards, dispatchers, and first responders will hear alarm alerts and announcements, even if they’re not looking at a computer screen. Announcer alerts and “Take Action” messages are broadcast in everyday spoken English, so they’re easy to hear, follow, and understand.